Fans of the strategy genre will be pleased to learn that the games BattleTech and Frostpunk have been released today. The former, developed by Harebrained Schemes, gives the player the opportunity to control enormous BattleMechs on a futuristic battlefield. The latter is a city-building title from 11 bit studios and is based in the past where civilization has been devastated by the extreme cold weather. A couple of much-awaited strategy titles have been launched today. 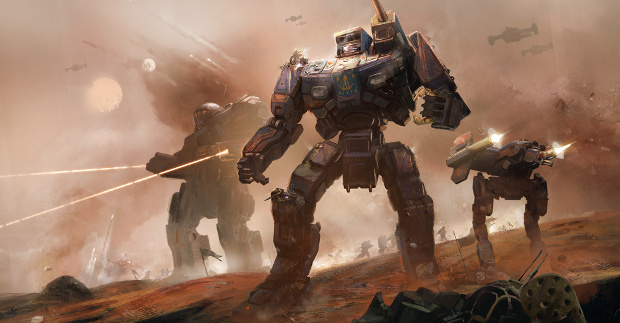 BattleTech has finally made an appearance and is already garnering some favorable reviews. Developed by Harebrained Schemes and published by Paradox Interactive, BattleTech is a turn-based strategy game set in 3025. Players take control of a group of huge ‘Mechs and fight for either “honor or profit” as battles rage across futuristic landscapes. GOG.com is currently offering a great deal where you can buy the game for US$22.68 and receive Shadowrun Returns for free if the purchase is made before May 8. The second big strategy release of the day is Frostpunk, which has been developed and published by Poland’s 11 bit studios. This icy steampunk-themed game is set in 1886 and puts the player in the position of city builder. The world has been decimated by fierce snowstorms and survivors are looking for a leader who can create a city that offers warmth and sustenance. 11 bit studios is the company behind the well-received survival game This War of Mine. Frostpunk can currently be bought at the reasonable price of US$17.43 from GOG.com. Both games are also available via Steam.